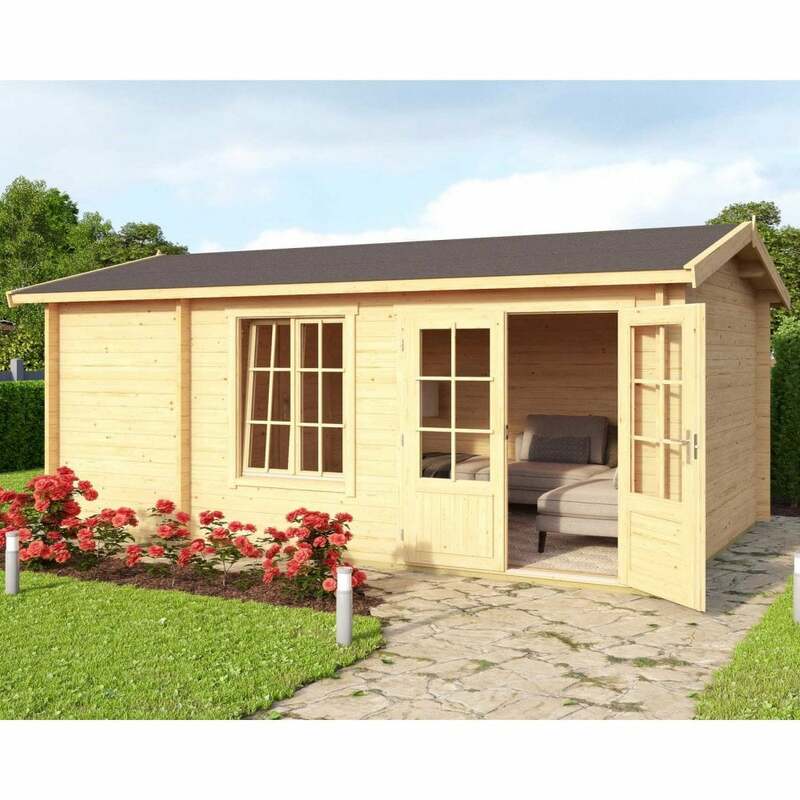 Norland Wrexham 3 Log Cabin: The Norland Wrexham is modestly sized yet deceptively spacious garden building featuring two very usable rooms. Room 1 is accessed through the large double doors and room 2 is accessed through a single door from room 1. This garden building cab be built as shown in the image or in reverse so is ideal for any corner of the garden. With the roof insulation option this highly versatile building can be used 12 months of the year for any purpose ranging from a simple garden building to a garden office, children’s playroom etc. This building will be delivered in kit form and has interlocking corner joints for a classic appearance and straightforward build.